kc. . Wallpaper and background images in the Klaus & Caroline club tagged: the vampire diaries caroline forbes klaus mikaelson klaus & caroline joseph morgan candice accola. "But then it felt really good to kiss him." The Vampire Diaries 5x11 - "500 Years of Solitude"
Klaus: Did you have a nice dream, Caroline? The Vampire Diaries 4x18 "American Gothic"
The truth is, I’ve tried to stop thinking about you. And I can’t. But I don’t want just another dress! I want to look hot, like princess Grace of Monaco hot. "Perhaps one day. 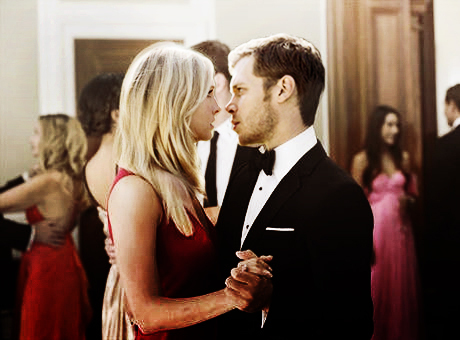 In a year, or even in a century"
He’s your first love… I intend to be your last, however long it takes. "Maybe one day you’ll understand why everything you touch surely dies"
“You’re beautiful” by James Blunt. Elena stole my prom dress.